Cool promotional gifts can help you to have a prominent space of your own in the market. The custom 62” arc black umbrella is a full size golf umbrella that can give you a good position in the market. 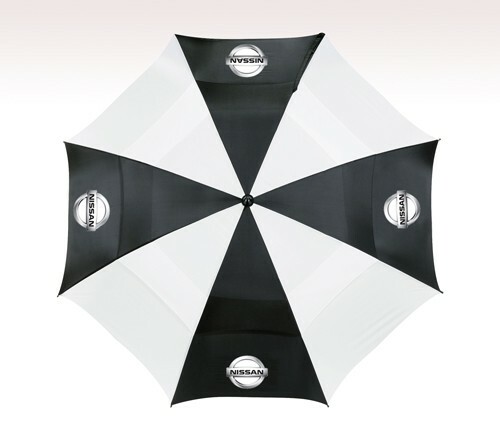 The personalized 62” arc black umbrella has a manual opening option. It has a large canopy with matching color case. This is made from nylon and it gives an ideal surface to boost your brand presence. The promotional 62” arc black umbrella is easy to carry as it has an umbrella case with shoulder case. These umbrellas are resistant to lightening. The personalized 62” arc black umbrella has a fiber glass lightning resistant construction. These are sporty umbrellas with a rubber handle for easy gripping.